In small businesses, every member of the team has a significant impact on productivity and culture, so hiring the right person is crucial. Having a comprehensive recruitment process for your massage therapy clinic will help you bring on board the right team members, and also manage and motivate employees in the right way. 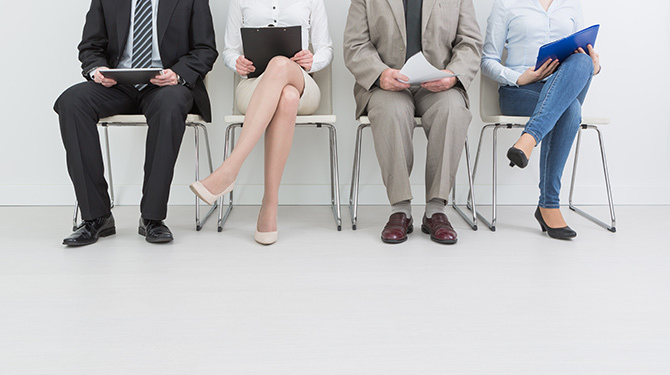 Knowing when to hire is important as part of your clinic expansion strategy. You might require extra administration, clerical, or reception help, or you might be diversifying into complementary services such as acupuncture or beauty treatments. You might need more massage therapists to assist with growing demand. One of the key signs that suggests your business can benefit from extra staff is when client demand has been growing steadily and your existing staff are working longer hours just to keep up. If you’re having to turn away or delay some appointments to meet demand, it could be time to expand. You can’t find a suitable employee if you don’t first define the role correctly. Clearly outline the skills and attributes required for the position in a detailed job description, whether it’s an administrative role, a massage therapist role, or some other type of position. Include the day-to-day tasks, the context of the role in the company, salary information, and any specific skills and experience required. Relevant personality attributes, required job outcomes, and work environment information can also be included. For massage therapists, the most important attribute might be skill level. A clearly defined job description enables you to attract the right candidates and reduce turnover by having more transparency and accuracy during the recruitment process. Have a comprehensive process for recruitment even as you build your potential-hires database. Once you have a job description finalised, you can start planning for things such as advertising and assigning recruitment functions to staff members. Your recruitment process should cover everything from resume review and interviews, to identifying interview questions and screening candidates. For a massage therapist role, your recruitment process could include practical elements such as demonstrations, along with scenario interviews that demonstrate how they might act in a given context. A formal and explicit recruitment process ensures that you and your hiring team follow a uniform structure for every candidate and address every key issue and concern. Background checks are important for any role, so do include these in your overall recruitment process as the final step before offering a contract. Have a procedure for contacting former employers, checking credentials, and undertaking police and security checks where appropriate. You’ll also need an employment contract to formalise your new hire. Employment contracts help to clarify terms and conditions for both parties and can be useful for reducing ambiguity. You might also want to develop an employee handbook that outlines the nature of your employment relationship, along with discipline and termination procedures. The handbook can be prepared and updated according to changing compliance requirements, with the assistance of a lawyer. It’s worth remembering that hiring full-time, permanent employees isn’t the only way to add capacity to your massage clinic. You could save on unnecessary overheads and more accurately meet your labour needs by exploring different hiring arrangements. For example, you can hire or engage staff on a casual basis or on a part-time basis, and you could even work with independent contractors. If you work with independent contractors, make sure you’re informed about the different legal and financial requirements. A good onboarding experience can boost retention and help new hires settle into your massage clinic more quickly. Find ways to welcome your new employee, use an induction checklist to make sure everything is covered, and make sure they’re given all the necessary information on their first day. Managing and motivating staff is an ongoing challenge, and you’ll probably find your own approach as you go along. The essentials – Clear expectations, ongoing supervision as required, good two-way communication, and formal evaluation and feedback are some of the essential components of managing staff. Aim to make your new hires feel valued through positive feedback, even as you provide guidance on how they could improve. Compensation – Other than supervision, communication, and feedback, you can manage and motivate staff by exploring different compensation arrangements. Whether remuneration is based on commission, fee for service, or an hourly rate, think about which compensation structure will motivate your staff most effectively. You could also link salary increases and bonuses with quarterly or annual evaluation outcomes. Avoiding burnout – Burnout can also be an issue to watch out for. Massage therapists can experience burnout just like employees in any other occupation, but it can be made more intense due to the physical nature of their work. Provide your hires with basic training on massage techniques and make sure staff are allotted a realistic amount of work. Expanding your massage clinic is an exciting prospect, and one of the key elements to growth is hiring the right people. By establishing a comprehensive recruitment process and managing and motivating employees in the right way, you’re likely to reduce turnover and find staff who fit well into your practice.